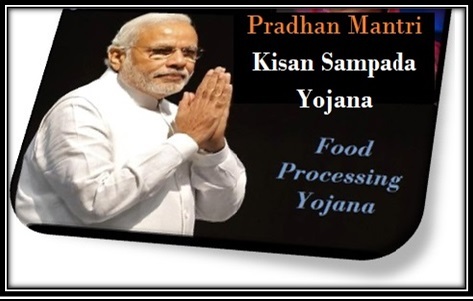 The Pradhan Mantri Kisan Sampada Yojana has been approved for the 2016-20 time period with a budget of Rs. 6,000 crores attached to the program. This scheme is utilized to benefit those in the agriculture processing field. The general goal of the scheme is to improve upon processing functions while ensuring that resources are not lost during the process. The goal is to establish strong food supplies and a regular chain of food service in the country. The potential for farmers to increase their shares and incomes will especially be high. This comes as they no longer have to waste more foods than necessary. The added jobs will especially help the industry. New infrastructure functions will be established for various uses. This includes support for getting a variety of different rain services out to transport grains and other items produced over time. Supply chains will also be carefully orchestrated. Part of this includes establishing new stations and setups for getting more items sent around. This includes ensuring that foods are transported without the risk of them spoiling. Storage plans are also used in the process to be very easy to handle in many forms. The storage plans would include support for protecting various crops and foods before they are ready to be sent out to places all around India. The food processing and retail sectors will grow and thrive over time. This comes as they continue to grow and expand with more foods being made available to a larger number of people. Employment opportunities will grow as more back end functions are established. These include jobs relating to securing and transporting goods to many places. Food supplies around the country will also be safer. People will not be at risk of any harm from different foods that they might take in. These include foods that are at risk of being contaminated by a variety of foreign compounds during the shipping process. Around 334 lakh MT of produce will be harvested up to 2020 under the scheme. This will be to the benefit of 20 lakh farmers around India and will produce 5,30,500 job opportunities in both direct and indirect operations relating to the agriculture sector in India. The new scheme is expected to move throughout the country in the coming years. The process will entail plenty of effort to create new transportation systems and other key features to improve upon what people can get out of their work. This is to establish a strong setup for handling foods in many forms. There is high demand for milk in the country. Keeping this in mind, the central government has taken several initiatives to increase dairy production. A new project has been set up in Karimnagar, and the central government has promised a whopping sum of 63 crore for its successful operation. The plant will have the capacity to produce 2 to 5 lakh liters of milk, when running to its maximum strength. This step has been taken under the Pradhana Mantri Kisan Sampada Yojana. It will offer direct benefits to as many as 80,000 milk sellers in the area. This plant will also create 500 other job opportunities. In the future, the central government plans to open special cooling units in this area to keep milk fresh.